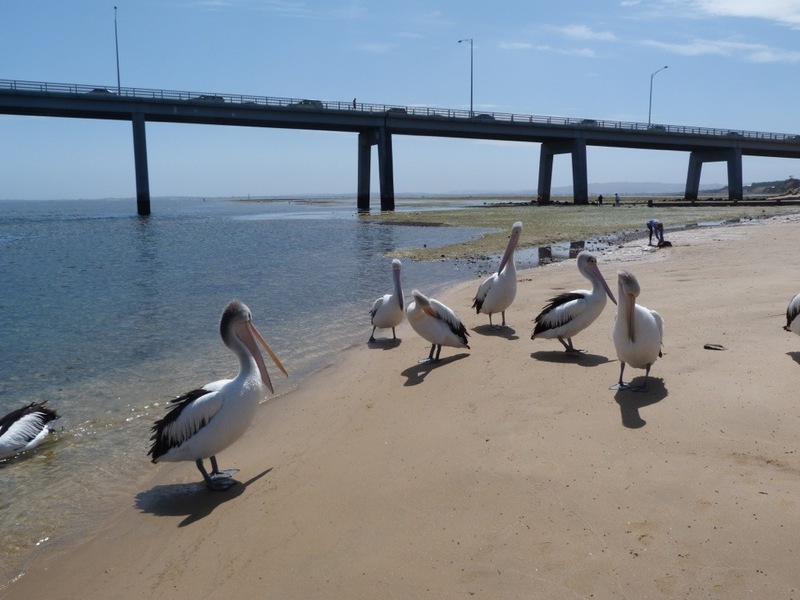 This is a full-day tour to Phillip Island which will include catching fish for your own lunch, try magnificent Australian wines, take a walk in a wildlife park amongst traditional Australian animals and see a penguin show at the conclusion of the day. 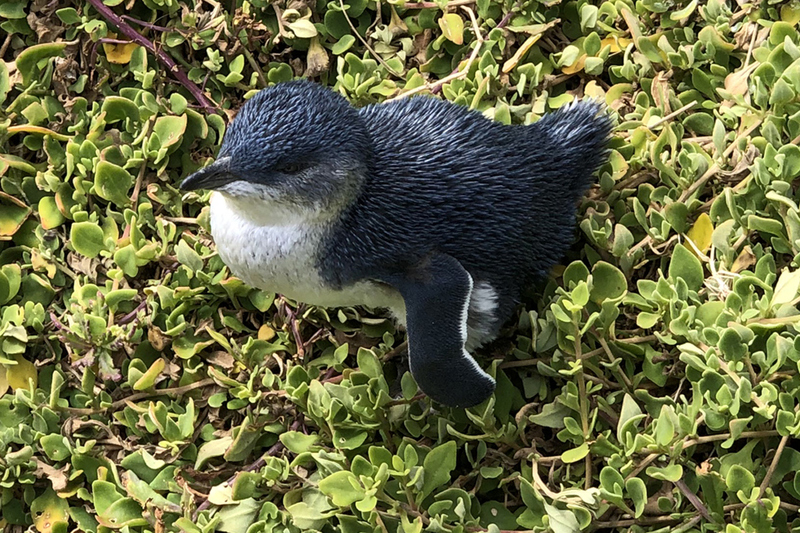 In the rays of the setting sun, a huge number of little penguins will come out of the roaring surf, shuffling their little feet, cross the beach on their way to their burrows to be greeted by hungry chicks. But let’s start from the beginning! 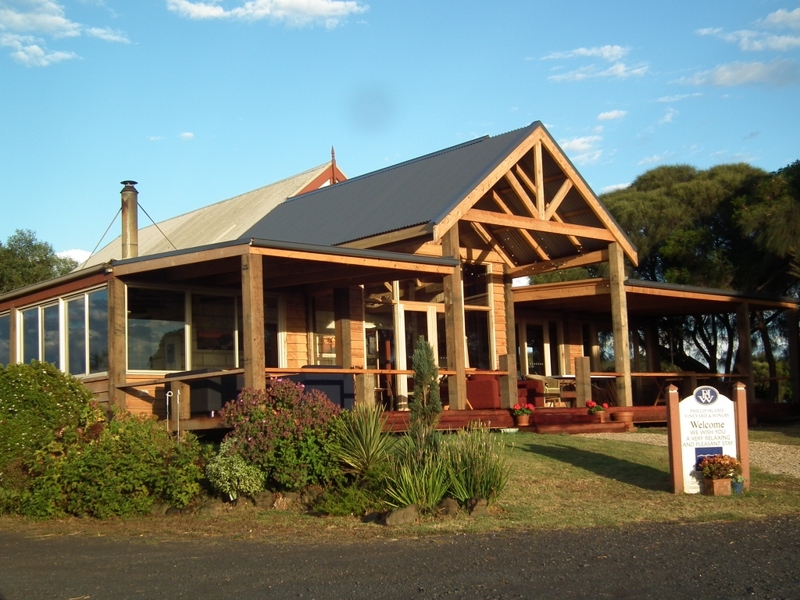 In the morning you will be picked up from the hotel in the city center and will travel on a comfortable minibus towards Phillip Island, located 140 km from Melbourne. 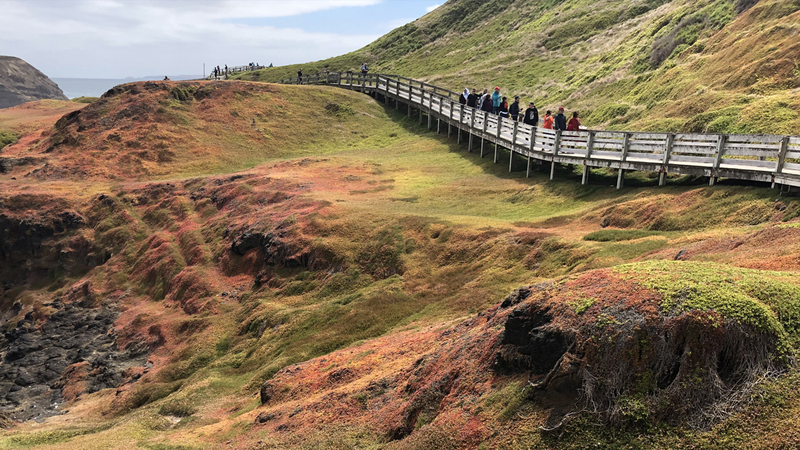 Upon crossing the bridge connecting Philip island and the mainland, you will find yourself in places where you will come across plenty of surprising discoveries. 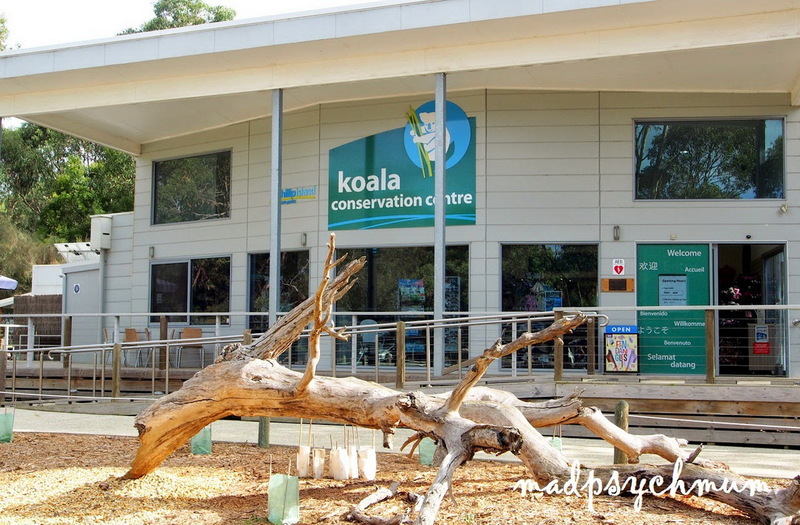 The visit to the island will begin with a visit to the Koala Conservation Centre, where these wonderful Australian endemics live in natural conditions. 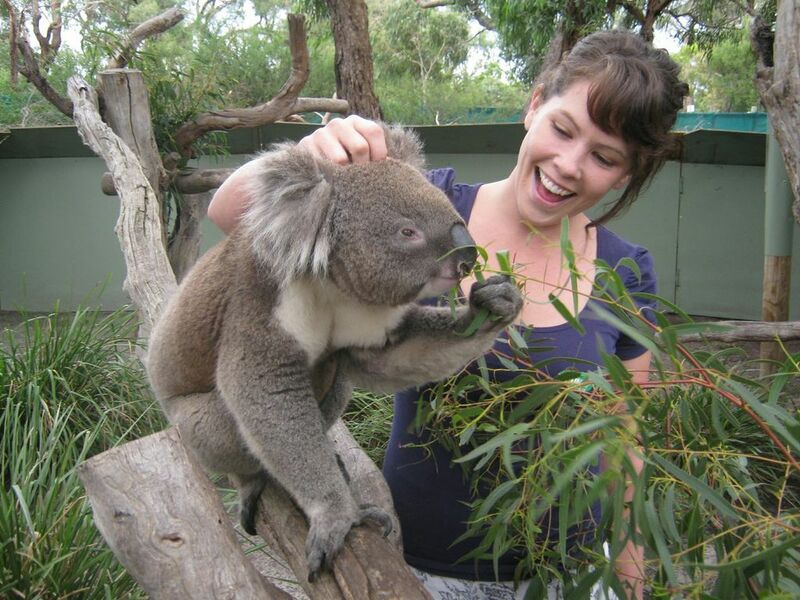 You will have the opportunity to observe the koalas up close, take photographs, and learn all about them! 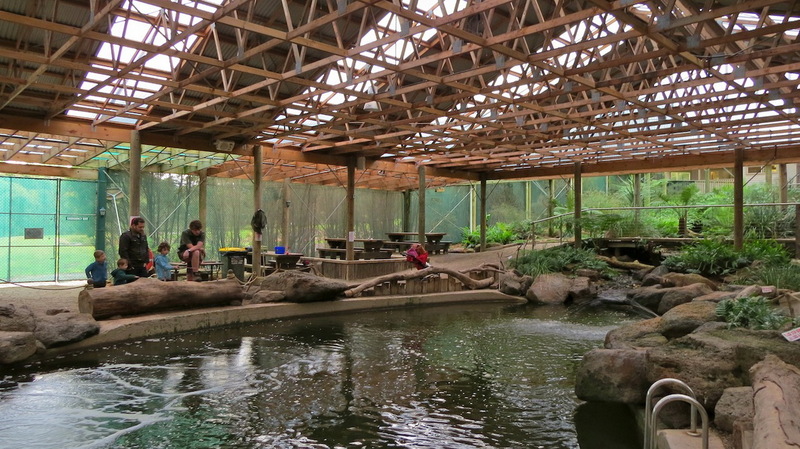 We will then visit a fish farm where rainbow trout, Atlantic salmon and eels are bred. After receiving gear and fishing rods, you will go fishing in the pond. 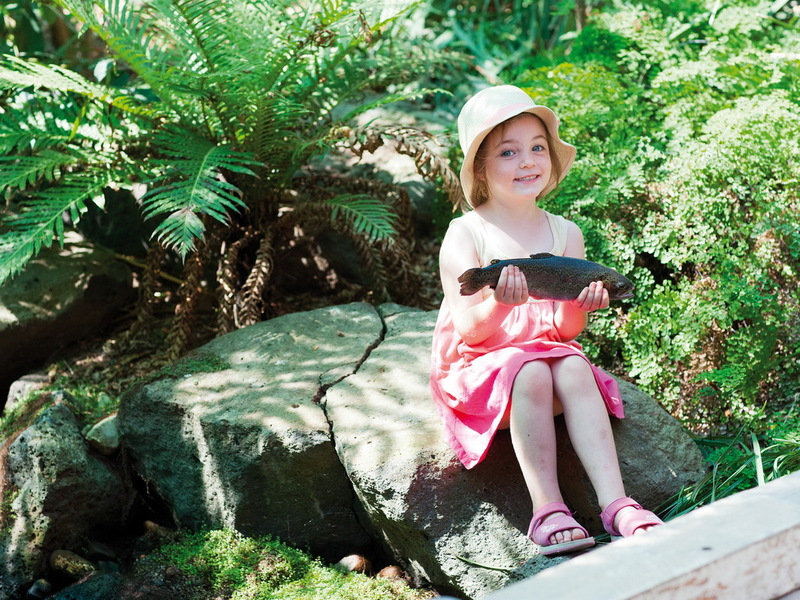 You are guaranteed to catch a 300-500g trout, and if you’re lucky, you’ll catch and 4-kilogram salmon. This is a fun event for even those who are not experts in fishing, you will be able to easily reel themselves in a fish for dinner from special dams. After fishing, your catch will be scaled and cooked on the grill before you and you can relax and unwind over a delicious lunch. 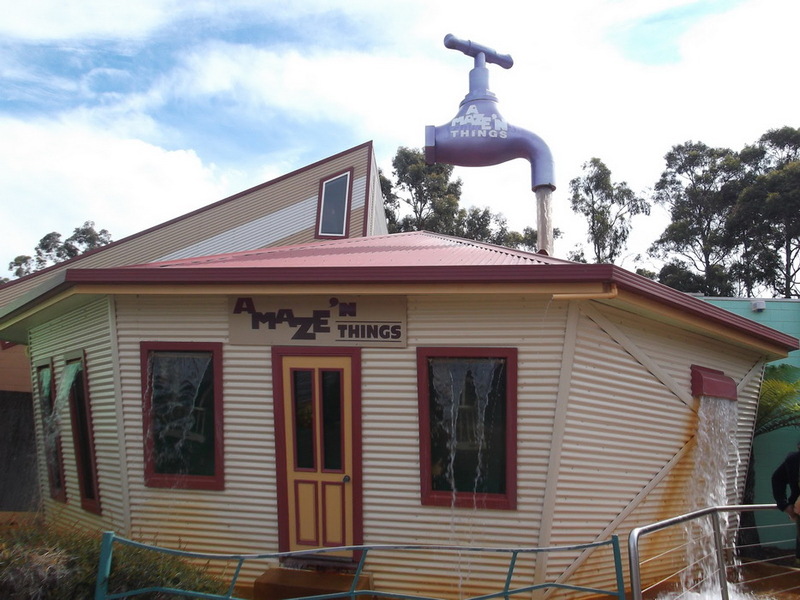 For those who prefer other entertainment over fishing will be offered to visit the A Maze’N Things illusions museum, which contains remarkable magic tricks, puzzles and many other fun activities, especially popular with children. After regaining strength from lunch, you will visit the local wineries where you can taste local wines. 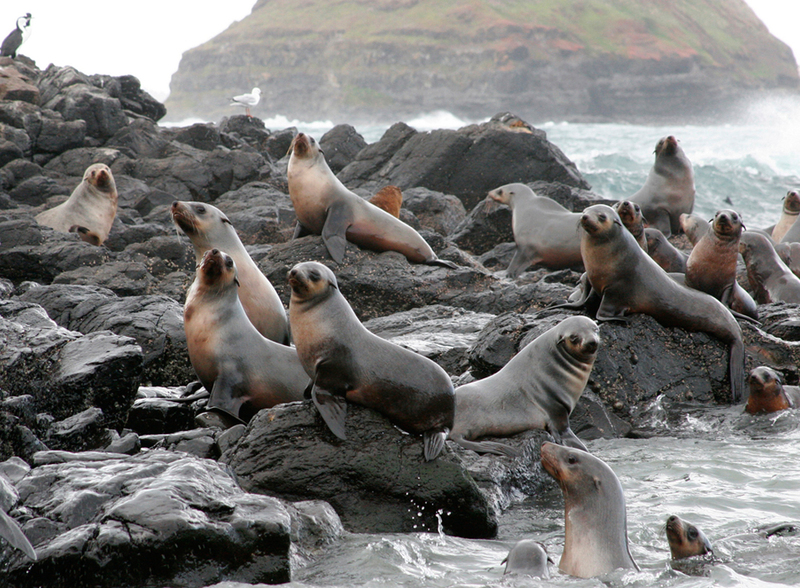 Then, on the way to the parade of penguins you will visit Cape Nobbies, inhabited by a colony of seals and many wild grazing wallabies. 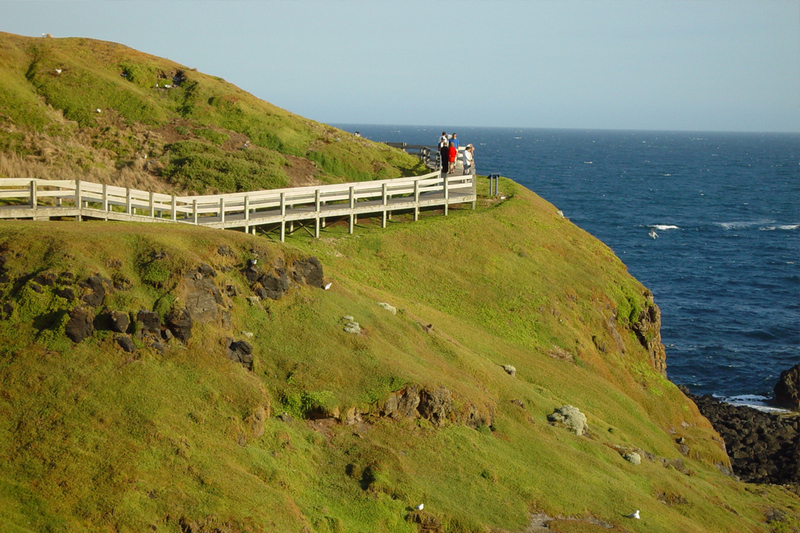 At sunset, you will be taken to Summerland Beach, which is home to thousands of colonies of little Fairy Penguins. These wonderful creatures leave each day to sea on a fishing trip to come back in the evening with food for their chicks. Coming out of the waves of the sea, in small groups, they traverse the beach to their nests. 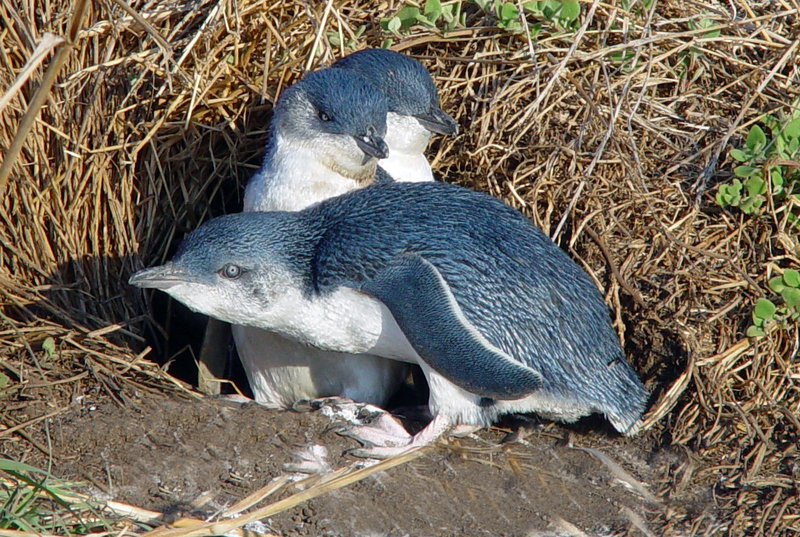 This show gathers millions of viewers annually and after about an hour the bulk of the penguins safely cross the beach and get to their nests, this unique event was called the Penguin Parade. For tourists watching the parade, park rangers build special viewing stands and boardwalks so people would not scare these little creatures. 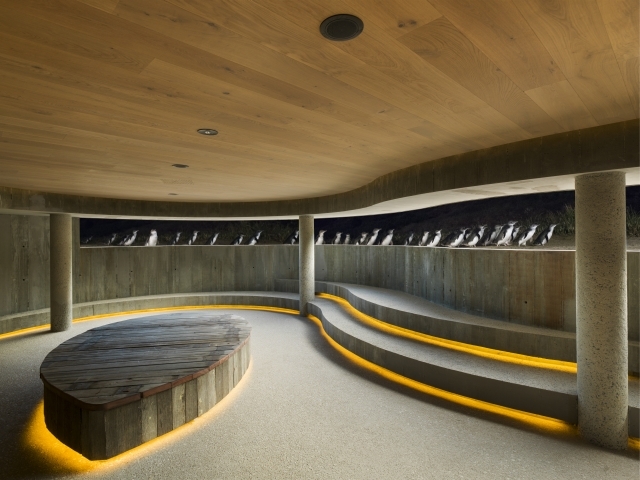 You will be able to watch these birds from almost arms length away. 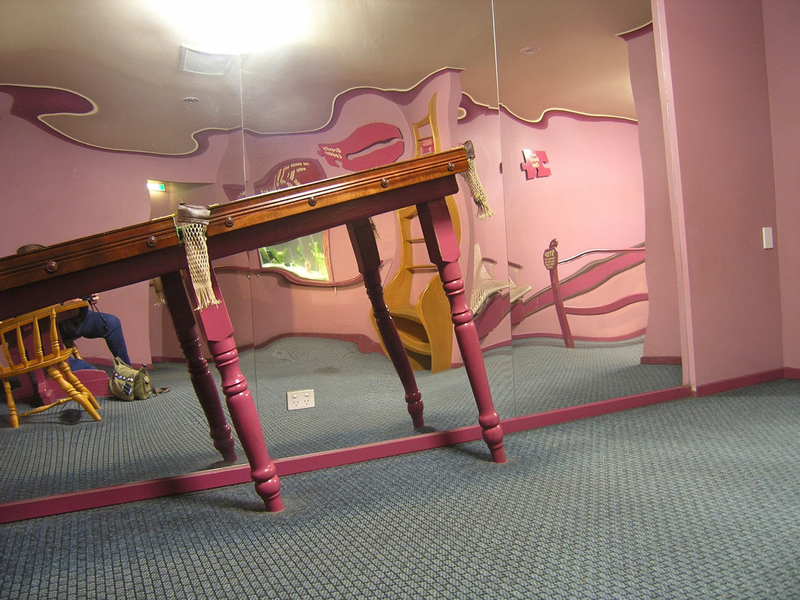 Once the show is over, you will be delivered back to Melbourne. Admission to Penguin Parade as well as tickets to other attractions on the way is not included in the tour price. The Penguin parade general admission ticket is $26.20 / $13.00 for crowded site bit far from penguins. 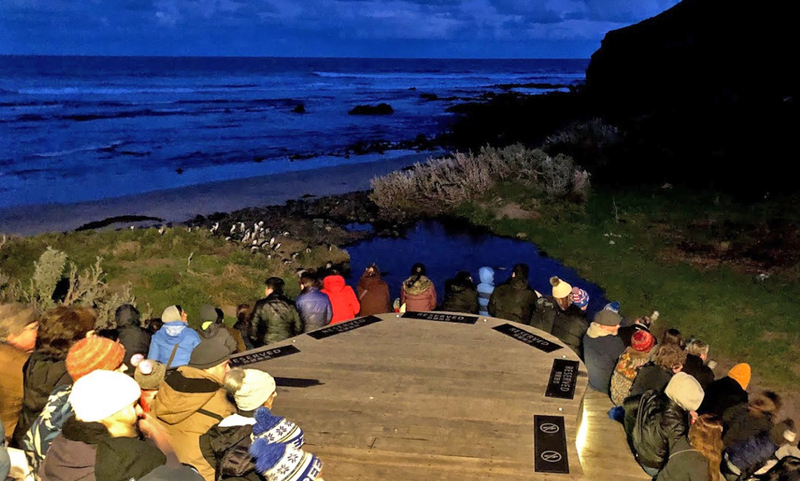 You can order an upgrade to Penguin Plus – a position closer to the beach shore, less seats and where the penguins can be seen better and closer.